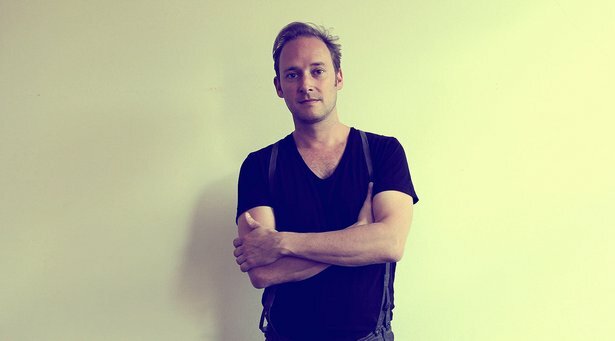 As a co-founder of Kompakt, Michael Mayer has seen the label evolve from the Delirium record shop in Cologne to a record label, distributor, and booking agency that played a dominant role in defining German techno music over the past couple decades. 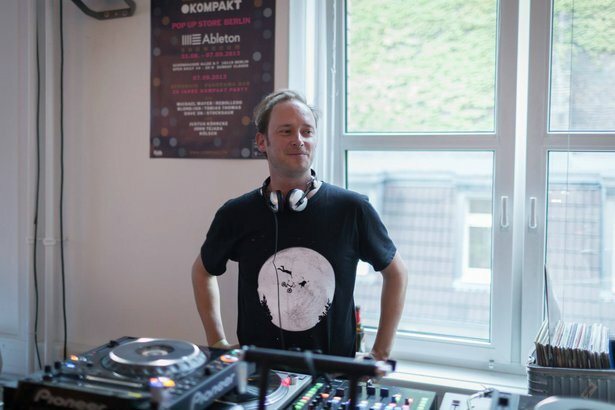 An accomplished DJ and musician in his own right, Michael continues to head A&R at Kompakt, selecting new records for release and keeping his ear to the ground. As the second part of our “Kompakt in Focus” series, we spoke to Michael about the place of a record label in 2013, keeping an open mind to new sounds, the fate of the mix CD, digging through the Kompakt back catalogue, and more. Kompakt has now been around for 20 years .The label has certainly maintained its identity while also continuing to evolve. What do you look for when you hear new music, that makes it sound like Kompakt? It's really a very instinctive thing - I can tell you after eight bars if I like a track or not and there's nothing in between. Either I like it or I don't like it. The A&R process at Kompakt was always like this. In the earlier days I used to listen to all demos together with Wolfgang [Voigt, Kompakt co-founder], but since seven or eight years I'm mostly alone and the whole process changed a lot over the years - it's still the same instinctive thing, but I don't have the time to listen to all the CDs we are sent and all the links we get sent. We've got a pretty strong artist roster, that means all these people hand in all these albums every two years or they throw singles at me and basically we don't need new artists. The boat is relatively full and most of the later signings were personal contacts, like people I met somewhere, people that probably had been friends for years and at some point we took the decision to start a working relationship together as well. I like to see Kompakt as a record label that can be trusted, you know? It's run by artists and the economic mercantile aspects are there, but it's not our first goal to make as much money as possible out of the label. So we handle our business from an artist's perspective, and I think that's something that's very attractive for other artists. There's a very high level of trust between the people, the artists that are signed to Kompakt and us. What music do you listen to in your free time when you just want to unwind? I'm a record collector, I'm not only collecting records I'd like to play, but also basically I'm a musical sponge. I like to challenge myself to discover music I've never heard of. Recently I got a lot into world music, you know there‘s this amazing label from Seattle, Sublime Frequencies, they're putting together compilations of let's say weird pop music from Sumatra or psychedelic music from the 60s from Pakistan, it's amazing what kind of stuff they're digging up. It's interesting that you mention that, because you’ve said in previous interviews that non-western music influenced your latest album, Mantasy . The album seemed like a radical shift for you. I don't see it as a radical shift - my techno was always embracing lots of different influences, I never saw techno as a hermetic thing. For me it was always important and fun to try to match techno with styles that have got nothing to do with techno, like Wolfgang does with German folk music and all that. It's more fun to work like that and I don't think it's very audible, that influence, but just listening to that kind of music in my private life helps me to broaden my mind, I'm training my ears to different rhythms or harmonic systems, I see it as my duty to be curious about music in general in my position as A&R for the label and as a DJ. Maybe I'm overdoing it here and there - my wife is sometimes really mad at me like "stop torturing me with this... what is this? Oh, it's old witches from the Ural region singing their songs. It's great that you like this, but don't torture us with your music!" Looking at the past couple decades, there’s been a dramatic shift in the industry. Going back to 1993, record labels were the only way to get your music out there, it had to be a physical medium and most DJs played vinyl. Over the past couple of decades a digital store both opened and closed on the Kompakt site, and the records usually come with CDs now. What are your thoughts on the future of music distribution? Do you think CDs might be phased out? Well it certainly looks like the CD is going to die very soon, which I'm not very sad about because I never really liked that format. Vinyl seems to be stable on a low level - it's something for freaks, for audiophiles and crazy collectors - but it's not the format that's going to take over from CD again. Yeah, “times are changing”, like Dylan said, but I think the main function a label or distributor should have is filtering music, like from this ocean of crap to filter out the things we like and think are worth pushing. With all the technical progress, this is something that hasn't changed. I think it's important, for me as a music lover, to have a few addresses, like people or companies I trust. It saves you a lot of time and taste is something that will survive - there are tastemakers and there are people who appreciate that. You’re well known both for production and also for DJing. In particular, there's been a lot of praise for the Immer series of mixes that you've done. It's interesting because technologically your mixes seem to be a bit more hands-off - there's no turntablism or crazy tricks going on - but the selection is really impeccable. What do you look for when you put together a mix like that, and what do you look for when you do a DJ set live? It's again the same process as with the demos. I don't buy 10,000 tracks a week, I'm very careful with my selection. With the Immer series, the title means “Always”, the aim was always to create something that stands the test of time, you know? If you burn it on CD it should be something that you want to listen to in a few years, as opposed to a podcast that is like a snapshot and something you don't give as much thought to as when you start manufacturing a product and promoting it. It's something more worthy. I always aim at this relative timelessness. I’ve never really planned to do a mix CD, I was always waiting for this moment that was mostly in a club situation, where suddenly you had this feeling that there's a tone that could be the tone for another Immer CD, an ambience. When I have this moment, then I would start working on trying to capture this ambience I felt in the club. But I don't feel the pressure to do a mix CD every two years - it's something that I only want to do when it's the right time. I probably shouldn't wait too long, maybe I should do another one before long. I had a laugh when I listened to Kompakt 12", Dettinger’s “Totentanz”. It's a dubstep track from 1999, so we basically invented dubstep, or Dettinger did [laughs]. I'm always mentioning it in interviews with the UK press now just to piss them off! That was certainly one of the... it really aged in a way, it's still very upfront, it's still very futuristic. I've always been in a constant dialogue with my catalogue, being a DJ I would always go back and pick a few old tracks to spice up my set, so I know it by heart and there weren't that many surprises for me. Before you were working for Delirium (later Kompakt) you were a patron, you used to go buy records there. So that kind of all came together. What do you make of this resurgence of record store culture, like Record Store Day, things like that, people trying to keep record stores alive in the face of digital commerce. Do you think there's an importance to having a physical store with someone there to sell you something? I certainly do think so. For the same reasons that we need labels or distributors - record shop clerks, buyers for record shops, they're filters. They can hook you up with music you've never thought about and that's something only record stores can deliver. Sure, an online record store could do a similar thing, but record shops are... In the 90s, we said the record shops were the café houses of the 90s. It's a cultural place, people meet there, exchange ideas, and to a certain degree it's still the case. When I go to our store in Cologne I will always meet people, we have a little chat, you drink a coffee together and it's a social thing, a social, cultural thing, and that can't be emulated digitally. Is there anything from the past 20 years that you would think would inform where you go for the next 20 years in terms of working with a label? Kompakt's never been a label that made quick changes. With everything we did, we always took our sweet time, and we never took two stairs at the same time. It was always slow, organic growth and that's also the reason we're still here, I guess. 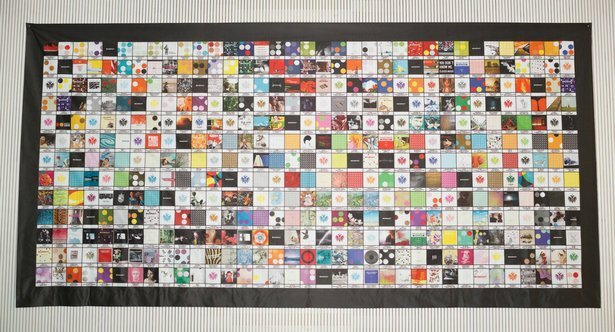 We're cautious in our business ways and musically Kompakt's like a mosaic, it's like the big poster that's hanging in the pop-up store here. Music's growing and there's always additions, variations of the music we've always released that are new to our catalogue, but I'm not envisioning Kompakt being a major rock label in 10 years. I think we're always going to be the same, more or less, just with updates and variations of this music we love.